Colourful comic style sticker of a hero with superpowers performing an attack. Brilliant vinyl for the little ones to decorate their room. A sticker full of action for your kids! 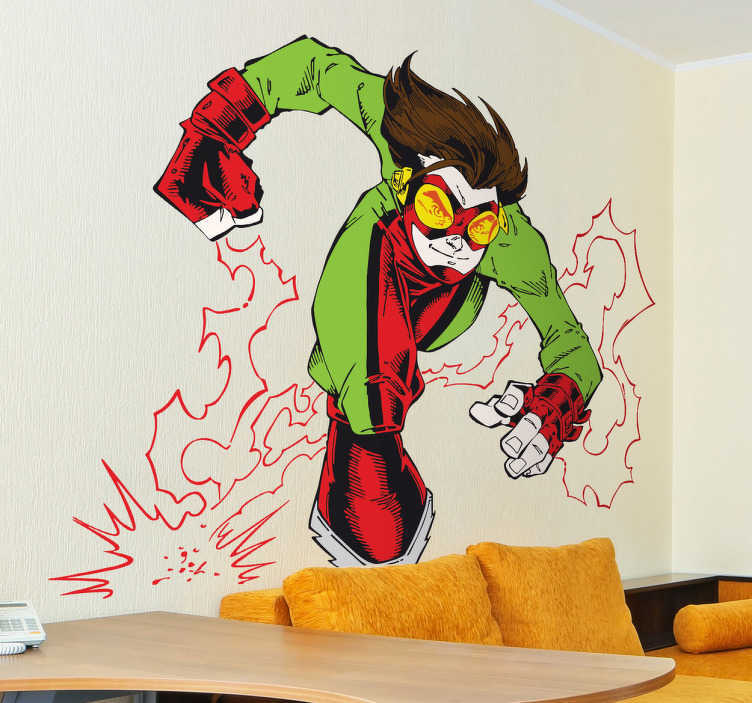 Every kid has a favourite superhero so why not give them this fantastic decal! Decorate their room in a way they feel their hero is there. Superb sticker to fill empty walls at home.